I have a few places remaining on two workshops I am running with Doug Chinnery in a few weeks time. The first is a summer landscapes workshop, this session will begin at midday and we will be roaming across the Salisbury plain photographing the sumer crops and stunning rolling downland. We should have some linseed flax fields and poppy fields to photograph and we will aim to finish the day off at sunset in a poppyfield if possible. This workshop is on Saturday 4th June and two places remain at £125 each. The second is a 4 hour workshop commencing shortly before dawn at a lavender farm in Somerset. again two places remain and this workshop will be on July 1st and priced at £85pp. Places won’t be available long so please contact me at antonyspencerphotography@btinternet.com to find out more or secure a place. I am running a bluebell workshop from dusk til dawn with Doug Chinnery on the 2nd May which is bank holiday Monday. The day will include two of the very finest bluebell woodlands the U.K has to offer. We will start at sunrise at a vast beech tree and bluebell wood near Basingstoke in Hampshire shooting through the morning before heading off to lunch. lunch is included in the price and after some food and a discussion including a review of the mornings images we will head off to location number two to shoot the afternoon and evening light near Marlborough in Wiltshire. Bluebells are an obvious target for landscape photographers but are far from easy to photograph well, we will share tips and secrets throughout the day to make it an enjoyable and educational experience. The cost for the day is £125 pp and places are very limited so please book early to avoid disappointment. After a marathon seven hour journey from Perth to Esperance I arrived to find the same cloudless sky I had been witnessing for the past two weeks. The beaches and water look amazing under a blue sky due to the pristine white sand beaches and turquoise seas but it wasn’t the conditions I was after. I ended up shooting a very harsh cloudless sunset and headed straight to bed hoping that the sunrise was going to be something special the next morning. My alarm went off at 3.45 the following morning and I peered out through the window to see blood red clouds. Alarm bells are instantly ringing, its an hour before sunrise and the clouds are just amazing, I’ve never seen clouds reflecting so much colour in an almost black night sky. I drove as fast as I could down to Twilight Beach, a place I spent many afternoons trying to surf and fishing many years ago, the twilight sky now more vibrant than anything i had seen for a very long time. This was one of the first exposures I made on this particular morning, I just loved the ripples in the sand and the way the light was reflecting across them. I also made some images using just the ripples as the light started to become more golden a little later on. This is the kind of light I dream about and I normally only get to witness colours like this from the window at home after deciding not to venture down to the coast or from equally annoying places like the supermarket car park! Just got home from a fantastic month in Western Australia with the family. It was amazing to have 38 degree temperature whilst eating Xmas dinner! 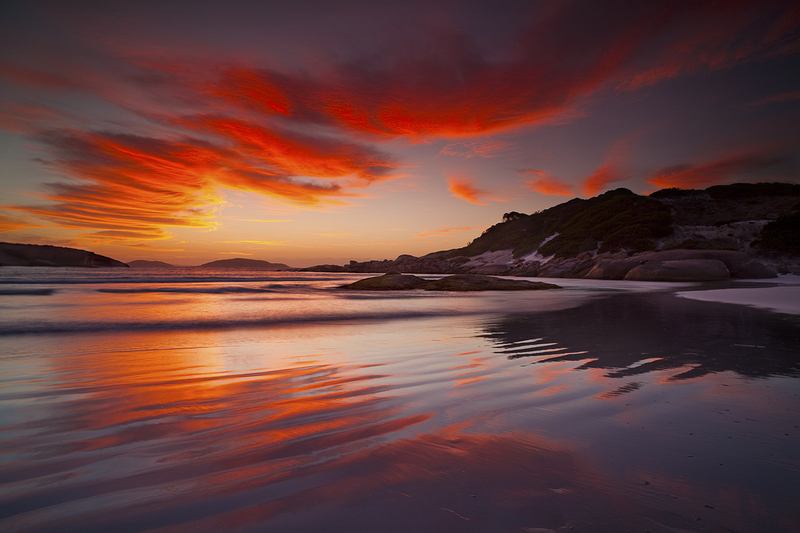 I managed to head back to Esperance after 10 yrs away and it was still every bit as epic as I had remembered. I have to thank Christian Fletcher, Neal pritchard and Flemming Bo Jensen for being amazing company on a our trip south. 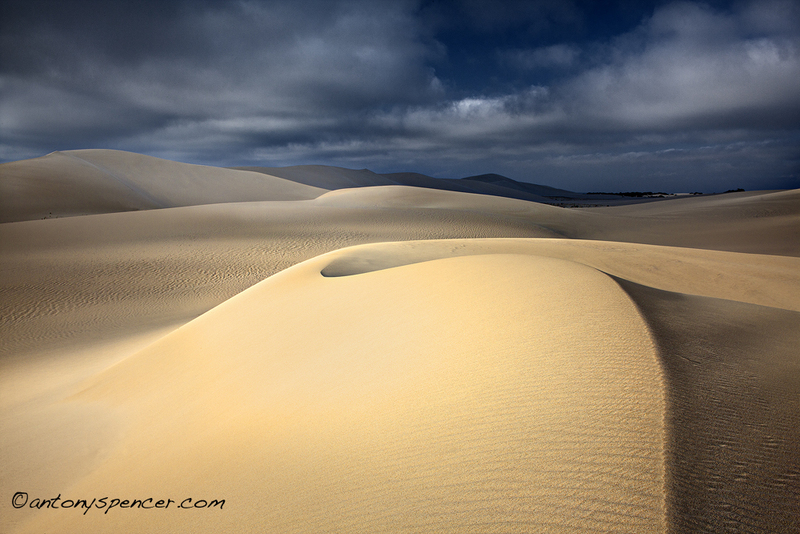 I was just gobsmacked at every location we stopped at, its the most amazing beaches I have ever seen and we got some fantastic light. This first image I also have Dan paris to thank, he took us all out to an incredible spot in some amazing sand dunes nr Esperance. Dan was a lovely guy and I’m really grateful he spent the time coming out with us and showing us one of his most spectacular locations. The company was awesome, the locations were awesome and this was one of the best things I have done for a bloody long time. I have to thank Christian for this viewpoint as he found this particular spot and spent some time one evening showing me some amazing photoshop wizardry! I didnt realise how little I know about photoshop but hopefully thats all about to change! I’m completely inspired again and cant wait to get to Norway in a few days time, the first of 5 trips in the new year! 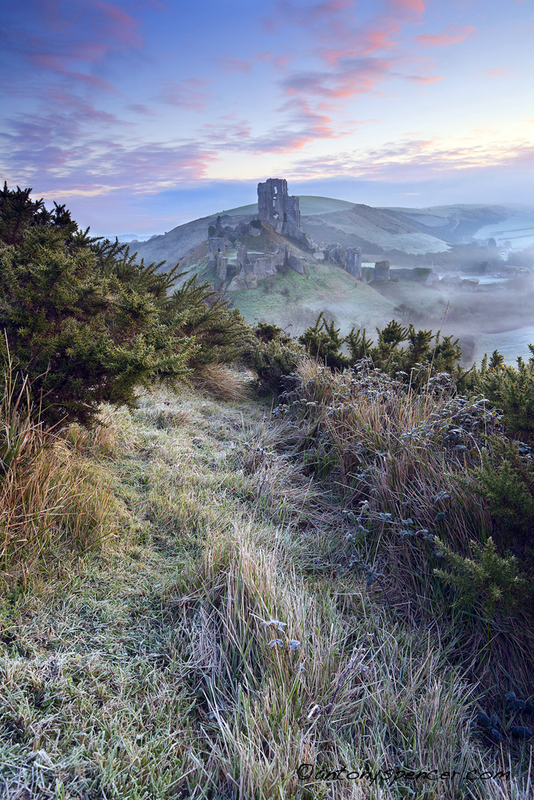 I’m amazed to announce that this image has won the Take a view landscape photographer of the year competition. I didn’t expect anything like this when I entered, things are crazy now! Thanks for all the emails and comments of support, its all massively appreciated. This winter is going to be mad, I have a trip to Iceland next week, Western Australia for Christmas and then 3 more Norway trips in the new year. All massively exciting! I will try and keep up with this blog a little better and post a few images as I travel around. I’m looking forward to some sunshine in a few weeks and exploring the coast around Esperance again, but not jumping from 40 above to minus 25 degrees with only a few U.K days to semi adjust! The first two trips to Norway to photograph aurora borealis have completely sold out. I now have only 2 places left on the February trip, A 4 night trip flying from london for £850. I’m beginning to plan another trip in march, closer to the equinox when the levels of solar activity are much higher and with more daylight, some beautiful snow covered winter scenes will be on offer. 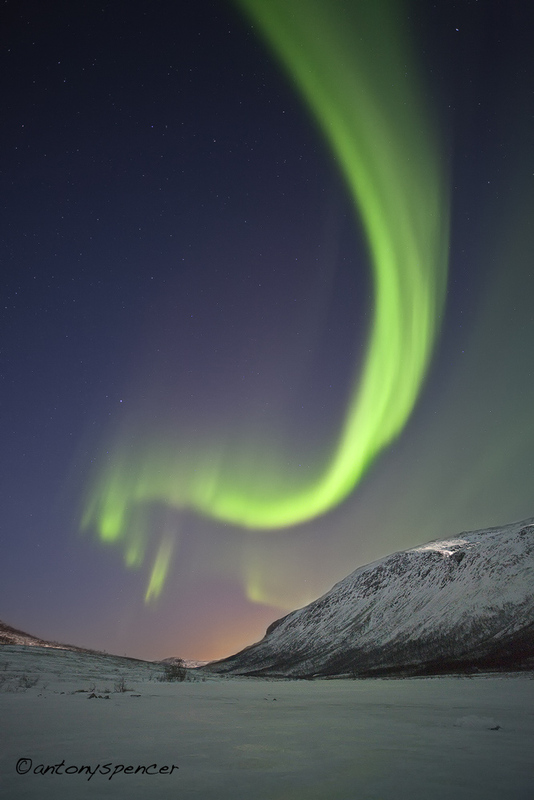 All these trips are based around the full moon to provide decent amounts of light during the long nights, everything except food and travel insurance is included in the price, including flights from London Gatwick direct into Tromso. Anyone interested please contact me at antonyspencerphotography@btinternet.com. If the last workshops are anything to go by, these places won’t be available for long.